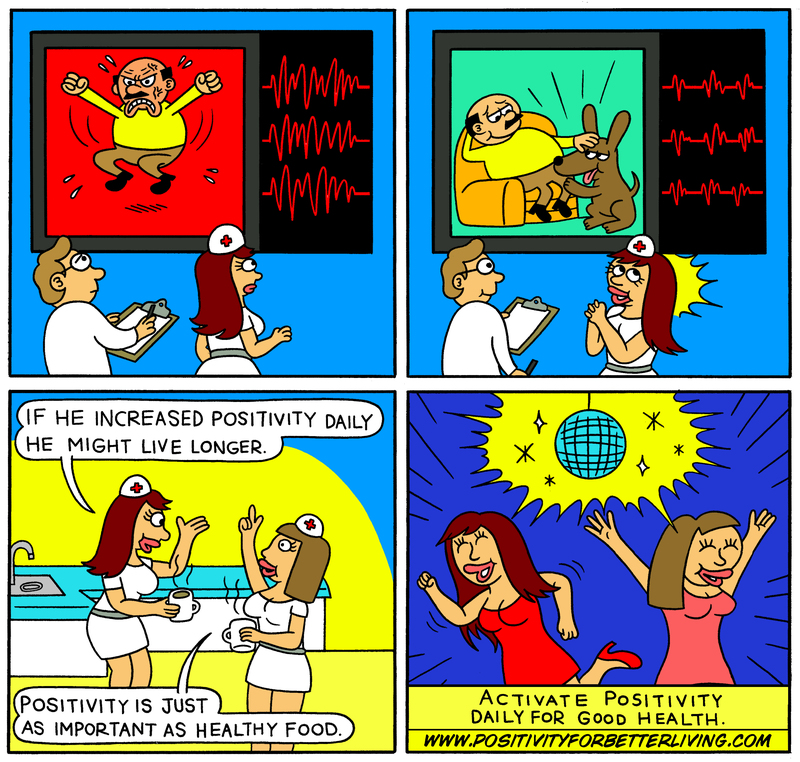 There are many benefits of positivity. In fact, positivity has been proven in scientific research to improve your health and well-being, increase motivation and boost confidence levels, broaden the mind to new ideas and possibilities and magnetise good people to you. Download the BENEFITS OF CULTIVATING POSITIVITY PDF here. The benefits of positivity are also seen in the workplace. Positivity is much more than just a good vibe. Yes, employees are happier and more engaged at work but it also broadens their mind and builds resources, grows resilience, increases productivity and innovation and increases their health and wellbeing. Employees and staff greatly benefit from positivity, but the customers also reap the rewards with an uplifting experience with each connection and transaction with the business. Would you believe that a relationship/marriage with higher positivity is happier and more fulfilling? It makes sense, doesn’t it? When you’re sharing a positivity moment with your partner, such as relaxing on the verandah feeling peaceful and serene, you feel closer to them – you feel comfortable. When you’re sharing an amusing movie you feel closer. When you are having an argument you feel more apart. In fact, Gottman, a leading research scientist on marriage and family, has researched married couples and has shown that the predictor of stable marriages is the ratio of positive to negative interactions[ii]. More positivity guarantees a secure relationship. Hence, in order to improve a relationship you on purpose do things together that will activate positivity. Losada’s research demonstrates that the same applies to the quality of team performance[iii]. When a team experiences more positivity they are higher performers with increased innovation and creativity. Positivity increases social interaction and brings people closer together. Therefore, if you want to improve the performance of your team, activate positivity either at work or organise a team building activity outside of work. Yes, flourishing in life is definitely an advantage when it comes to increasing success in life and business. But how does positivity affect physical health? It makes sense then that if you deliberately choose to activate positivity on a regular basis that it improves physical health and well-being[iv]. As much as your physical body needs nutrition, so too does it need positivity. By increasing your regular diet with positivity you will enhance your immune system, lower blood pressure, lessen pain, have improved sleep, reduce stress and anxiety, and diminish headaches and migraines. Instead of your body remaining in a place of stress, constantly struggling to survive, regular positivity will allow the body to relax and heal naturally. Positive emotions are good for health and this was even known back in biblical times – Proverbs 17:22 states that ‘a cheerful heart is a good medicine’. [i] Frederickson, B. 2000. Cultivating positive emotions to optimize health and well-being. American Psychological Association, Prevention & Treatment. [ii] Gottman, J. & Silver, N. 2011. The Seven Principles for Making Marriage Work. Orion Publishers. Great Britain. [iii] Losada, M. & Heaphy, E. 2004. The role of positivity and connectivity in the performance of business teams: A nonlinear dynamics model. American Behavioral Scientist, 47(6), pp. 740-763. [iv] Salovey, P., Rothman, A., Detweiler, J. & Steward, W. 2000. Emotional states and physical health. American Psychologist, 55(1), pp. 110-121.